1. How did you first get involved in coaching? 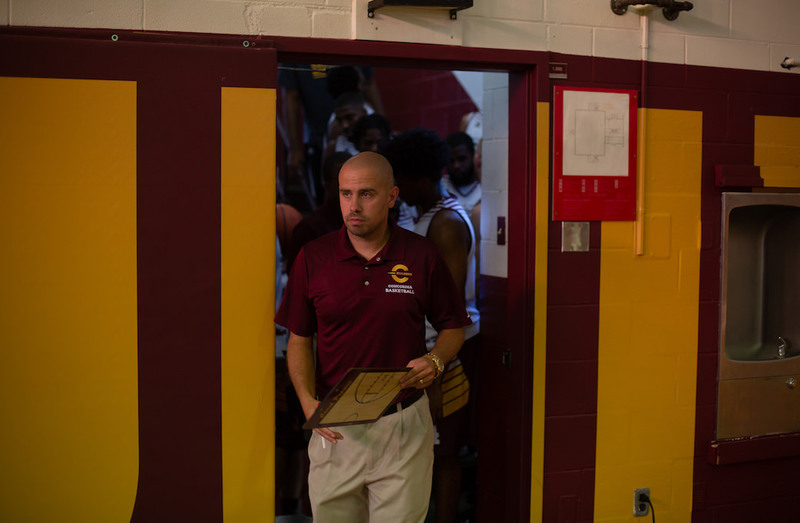 What was your path to your position as head coach of the Stingers? 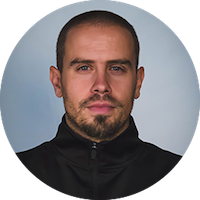 During my playing career at Concordia, I started coaching midget boys and juvenile girls basketball at St. Laurent High School in 2005, as well as Sun Youth AA travelling teams that summer. 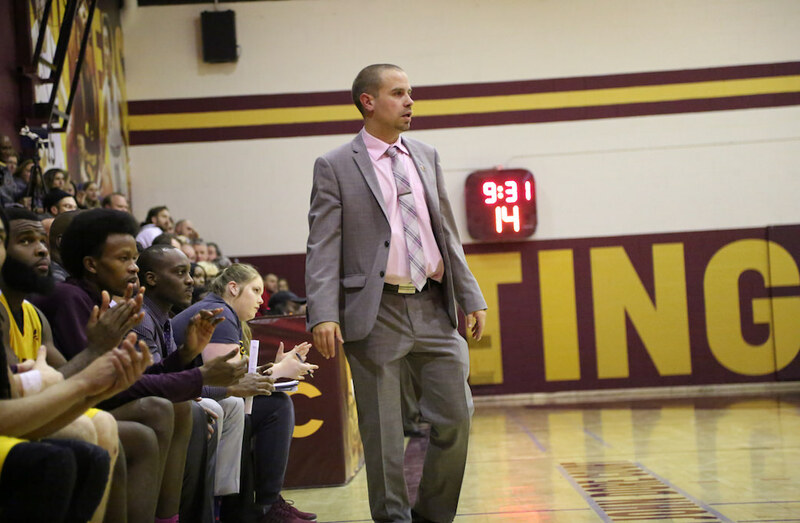 Upon finishing my playing career at Concordia in 2006, I joined the Stingers women’s basketball team coaching staff and was the head coach of the midget girls team at St. Laurent High school for numerous years. 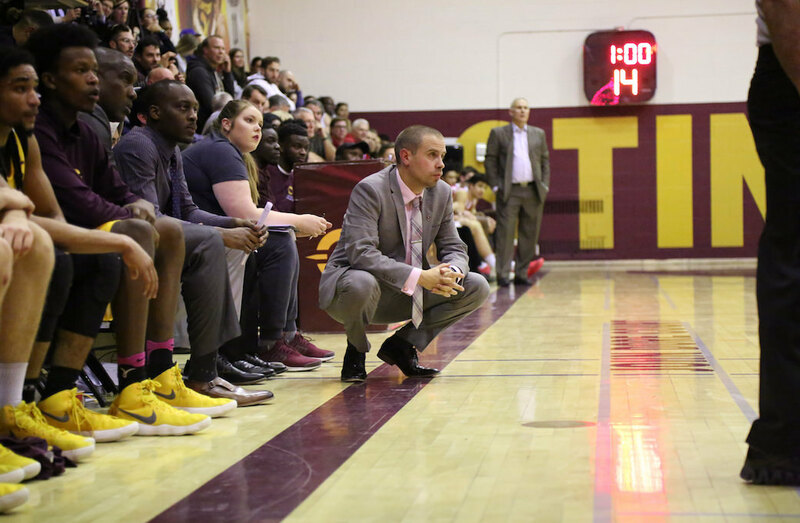 In 2013, I joined the men’s basketball coaching staff at Concordia before becoming a head coach in 2015 when former long time coach John Dore retired. I would say it’s a mix of people. My Cégep coach Mike Paradis in Sherbrooke was someone with whom I started having real basketball discussions about strategy and asking questions about coaching. Having played for and coached with John Dore, I was definitely able to learn and experience different situations on and off the floor. Coach Dore is someone who’s been a mentor for a long time and he was always very receptive to my suggestions. As a young assistant coach at the university level, I must say coach Keith Pruden was also very instrumental in my development as he allowed me a lot of freedom to implement and try new things daily while I was still learning the game at this level. I believe I am a mix of old school and new school when it comes to my coaching style. I definitely understand that we are in a different generation and certain aspects have changed, but I sum it pretty much by saying you must defend and compete at all times. I try to give our players freedom on the offensive end as much as possible. I want them to be able to think the game through. But the word “compete” will always be part of my DNA as a person, whether we are talking about basketball or everyday life. I am a big fan of Gregg Popovich from the San Antonio Spurs, and it’s not because of the similarity in the family name. His way of making sure everyone on the team is accountable, and the importance he puts on team culture are two factors I value a lot. When it comes to X's and O's, Brad Stevens from the Boston Celtics is definitely one of my favourites. it’s hard to identify one specific moment. Each season is special in its own way. Helping build the women’s basketball program at St. Laurent high School and making it one of the best in Canada will always have a special place in my heart as that’s where I started my coaching career in 2005. Overall, the most important moment each year is constantly helping our student-athletes became the best they can be on and off the floor and hope they have fond memories of their playing days. Every athlete is different, and I think it’s important we recognize that as coaches. The best advice we can give them is to be themselves and always put in the work and give their 100 per cent. The results will vary, and there will be wins and losses, but it’s important to know that you gave it your all every time you stepped on the floor during practices and games. No regrets. As for parents, I think It’s important to not put pressure on athletes. While I understand everyone has high expectations for their children, I strongly believe we must let them choose who they want to be and try to guide them while they are making that decision. Obviously, at our level, we are dealing with adults who are able for the most part to make their own decisions. I love spending time with my family. My two young daughters provide me with different coaching challenges daily, and I enjoy seeing them grow even though time is going by so fast and sometimes, due to our busy schedules, I can’t be there as often as I would love to. I also love going to the beach by the ocean and just relaxing or catching up with some of my favourite TV shows or reading a new book. Eating chocolate definitely makes the list as well. 9. What’s the most embarrassing thing that’s ever happened to you as a coach? Being ejected from a game on a single technical foul and having to walk all the way across the gymnasium in front of everyone as the door was completely on the other side. Even though I felt it was unwarranted by the referee, the first thing I did was apologize to our players, as I felt I let them down. It was a definitely a learning moment.